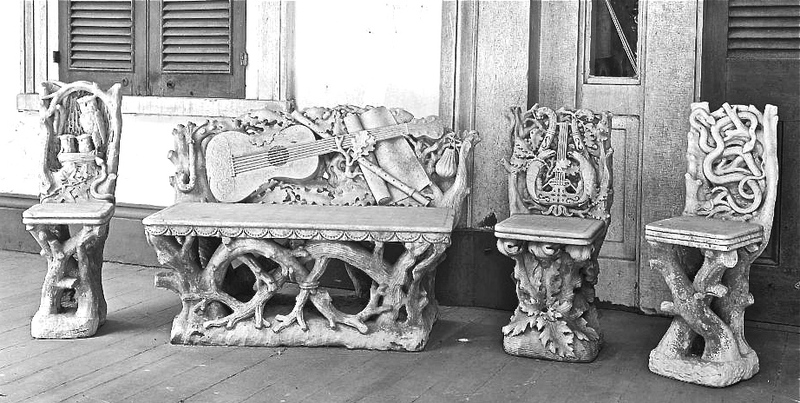 The porch of Burnside Plantation in 1938, by photographer Frances Benjamin Johnson for the Carnegie Survey of the South. Anne Raver in The New York Times writes about Nancy Goodwin’s celebrated Montrose Gardens in winter, here. The slide show includes a photo of her lath house, which has been on my list of favorite garden structures since I saw it in Garden Design in the 1990s. In urban landmark news, the first Starbucks on the East Coast, at Wisconsin and Idaho Avenues, N.W., in Washington, D.C., has closed. The building it occupied will soon be demolished. However, The Huffington Post reports, here, that the new, mixed-use development will still have a Starbucks (whew!). In the meantime, if you visit the nearby National Cathedral’s Bishop’s Garden, you can get coffee (and fudge) in the gift shop. This link from the Lady Bird Johnson Wildflower Center and the University of Texas at Austin displays a map of the U.S. Click on a state and you get a list of native plants suitable for that region. Also, here’s an interesting perspective on the honey bee as a pollinator of American native plants, at Garden Rant. Finally, if you need a reminder to always be alert to possibilities for design, click here. It is sad to read about the historic floating gardens in Mexico, neglected and fading into obscurity.